Package contains 6 frames made from Tim's signature "Baseboard", an extra-thick chipboard. 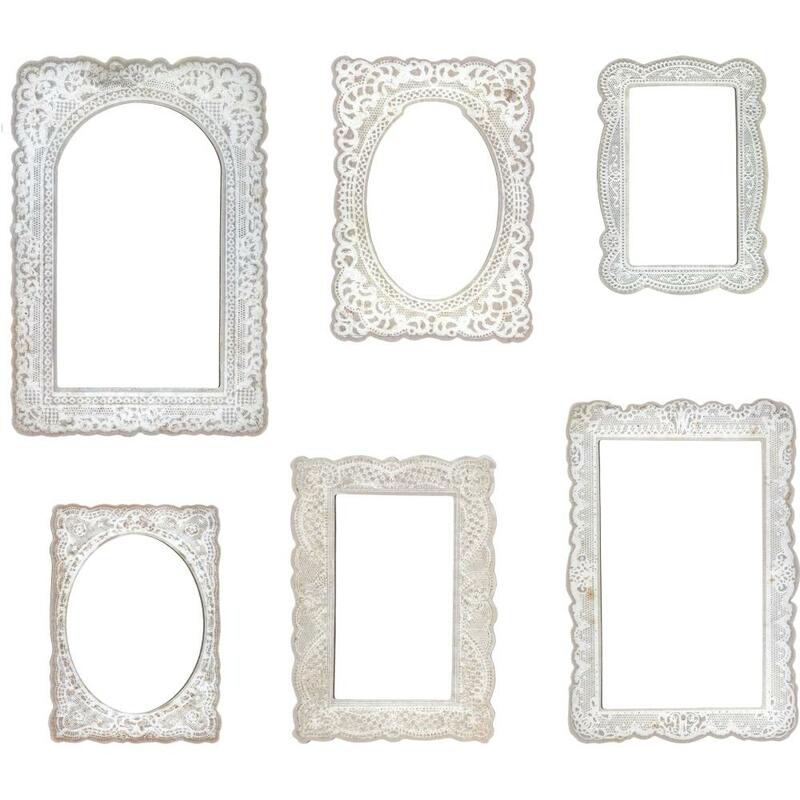 Each frame has a lace patterned printed and embossed. Frames range from 3" x 4.125" to 4.5" x 6.5". 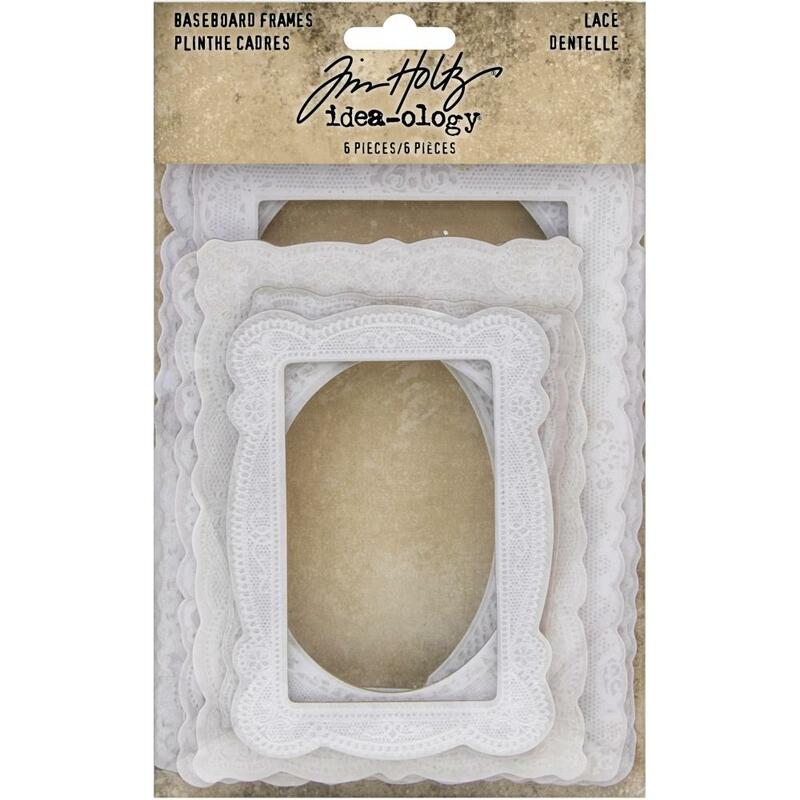 Great for use with vignette boxes, or create your own frames to display photos.